2: what does alex say at the end of a vlog? 3: who hates bear bear..
4: what is lauren allergic to? 5: what does alex do that lauren hates? daddy is going to work! 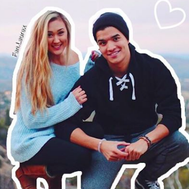 6: how many siblings in da wassabi family? 7: last but not least who is laurens boyfriend?